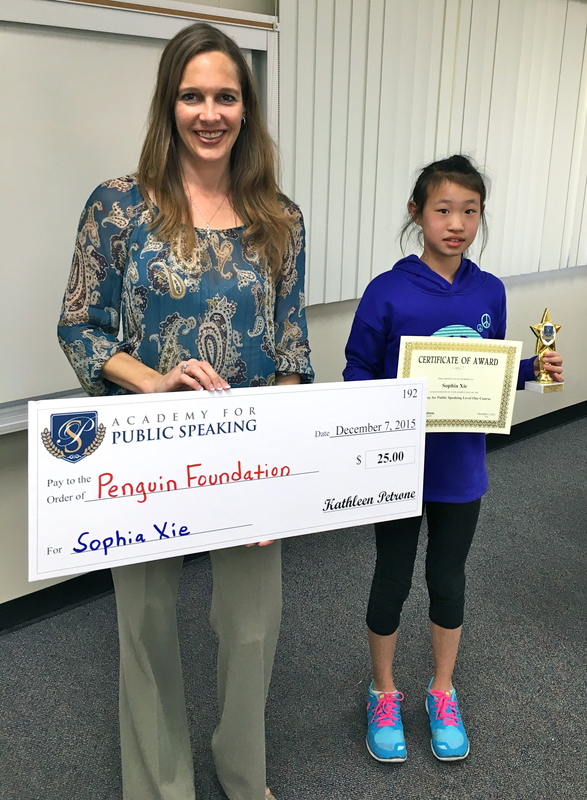 Academy for Public Speaking Wall of Fame! 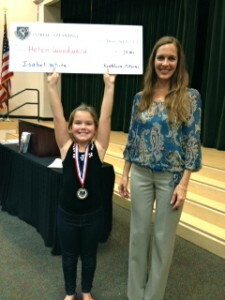 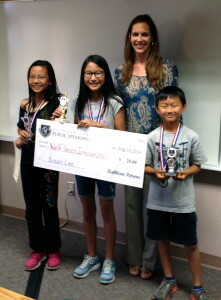 Solana wins 1st Place to Help the Homeless! 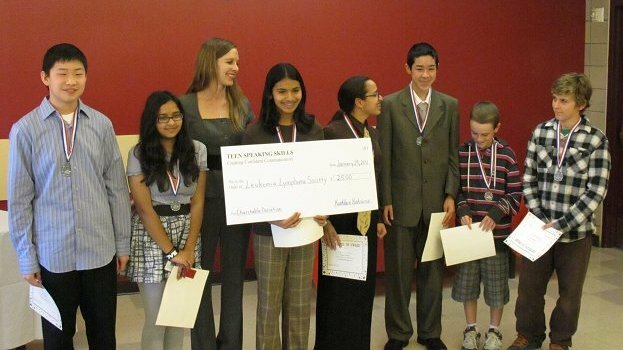 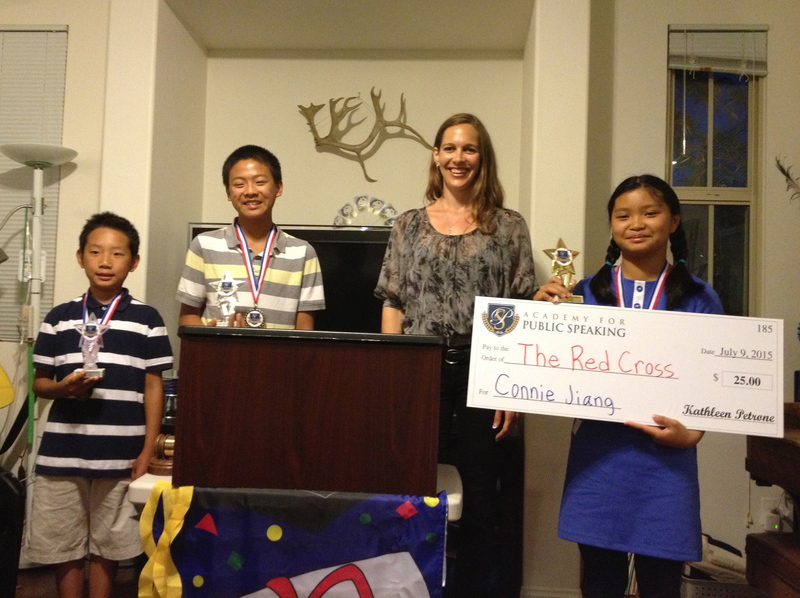 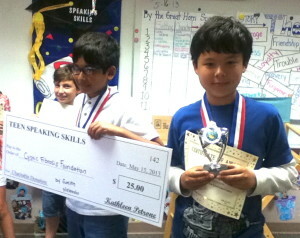 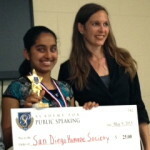 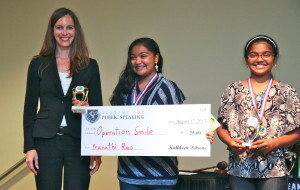 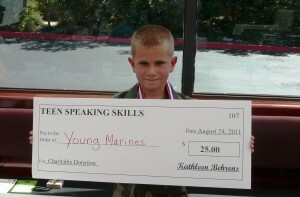 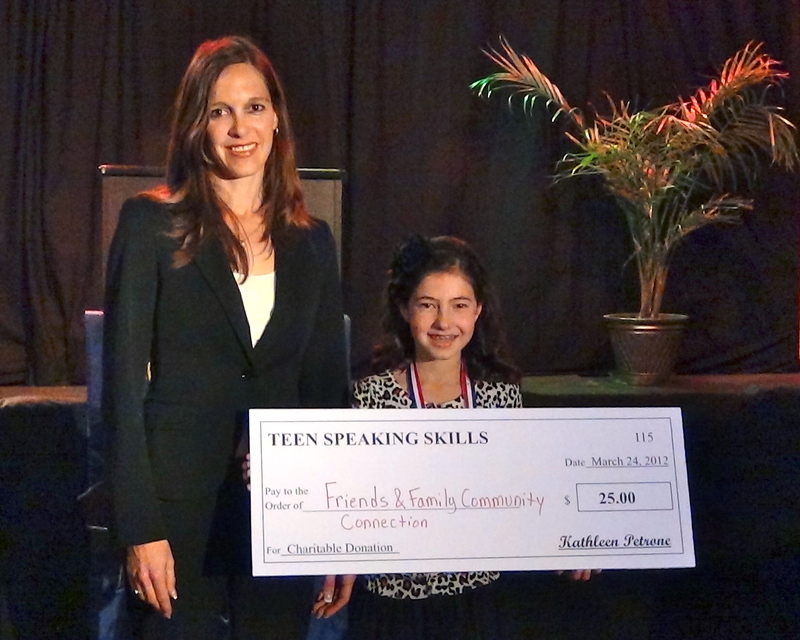 Academy for Public Speaking graduates in San Diego have raised over $4,000 for more than 90 charities worldwide! 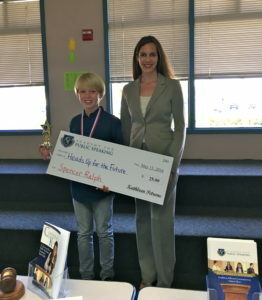 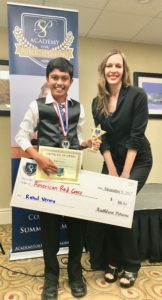 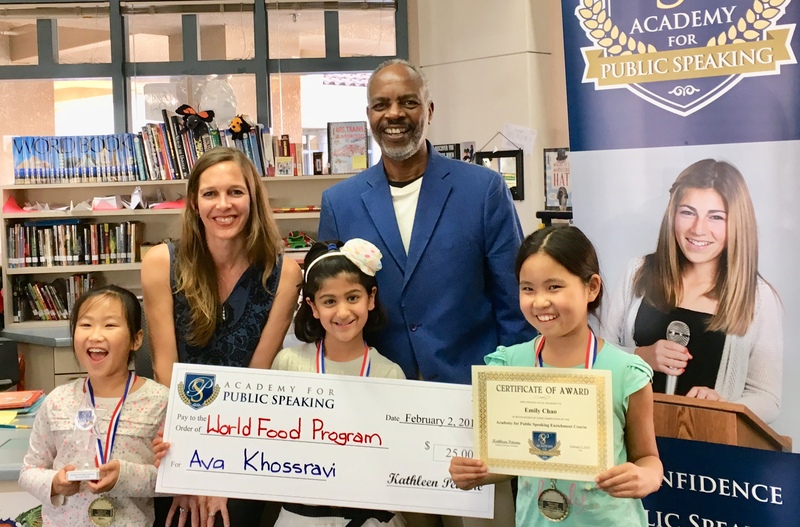 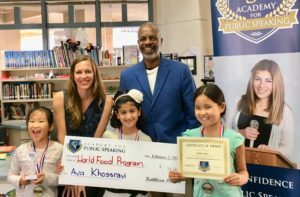 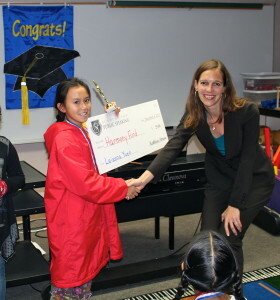 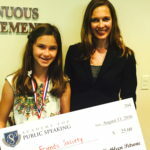 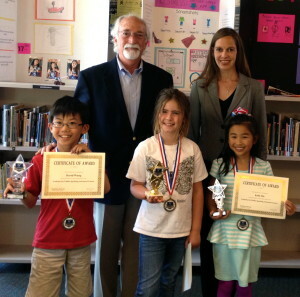 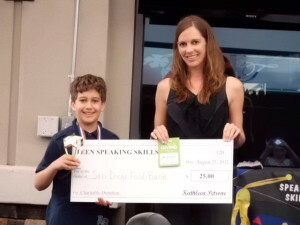 Congratulations to all of the San Diego students who have won 1st place in the charity speech contests at their graduation ceremonies and earned donations for their charities. 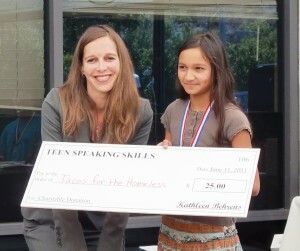 Your courage and willingness to speak on behalf of others who are less fortunate is truly admirable! Supporting the World Wildlife Fund! 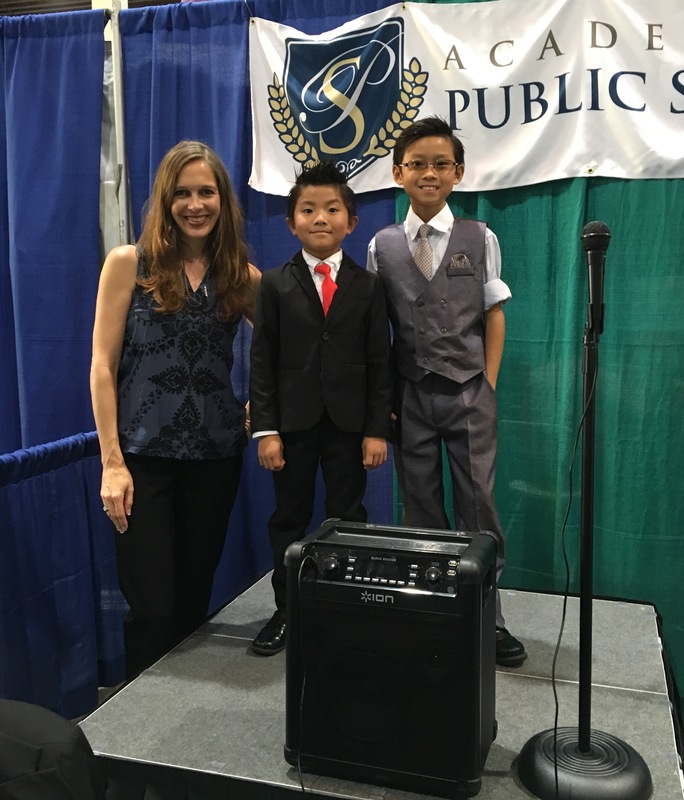 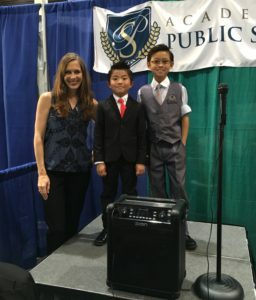 Rachel Yang – The Humane Society of the U.S.
Academy for Public Speaking Graduates Mark & Conner Lee presented speeches at the San Diego Kids Expo. 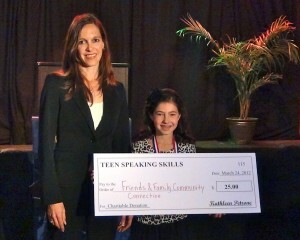 Pictured with Academy for Public Speaking President & Founder Kathleen Petrone. 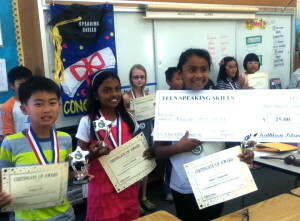 Celebrating Successful Public Speaking Skills! Saanvi Supports the American Cancer Society! 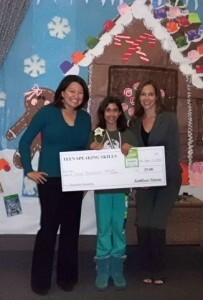 Tis’ the Season for Caring & Sharing in San Diego! 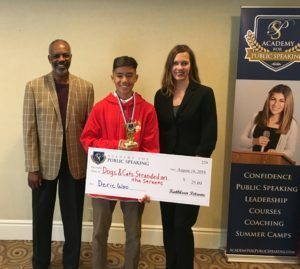 Daniel Wins Money for the San Diego Food Bank! 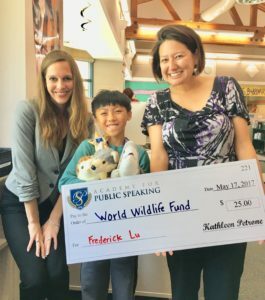 Jeffrey wins 1st place for UNICEF! 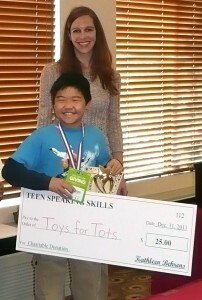 Bryan brightens the holidays for children in San Diego with Toys for Tots! 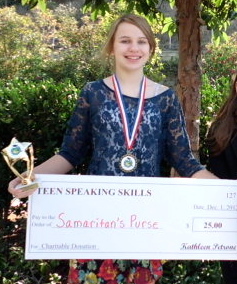 Kayla wins 1st place for City of Hope! 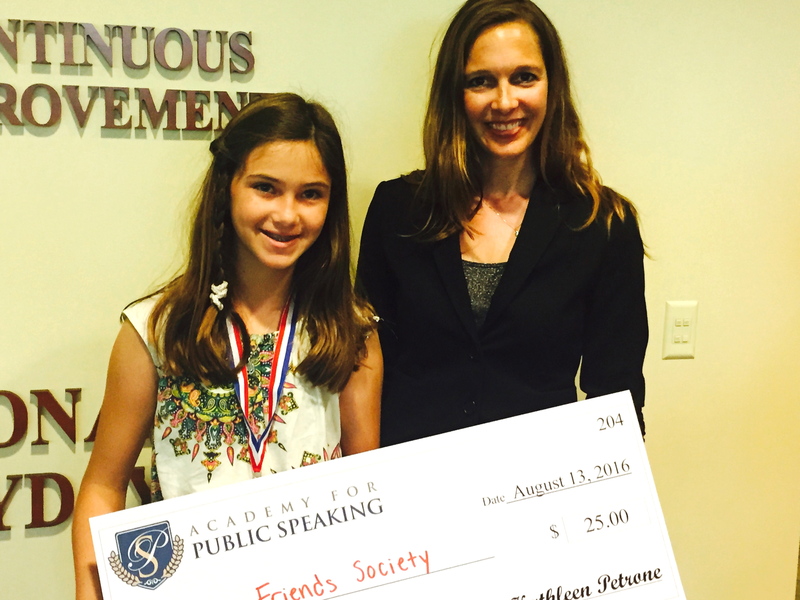 Thank you to every Academy for Public Speaking graduate for using your voice to make our world a better place!